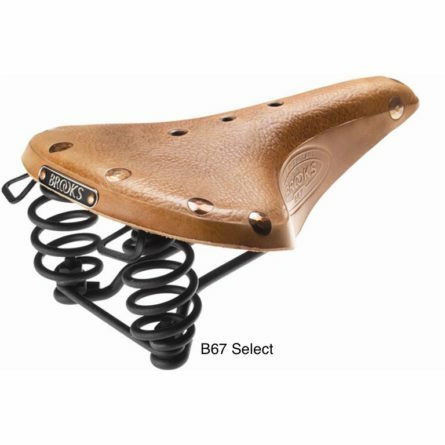 The Flyer Imperial is the traditional Flyer (sprung B17) with a cutout section in the saddle top that alleviates perineal pressure experienced by some cyclists making this a popular choice for all-day touring comfort on all road surfaces. 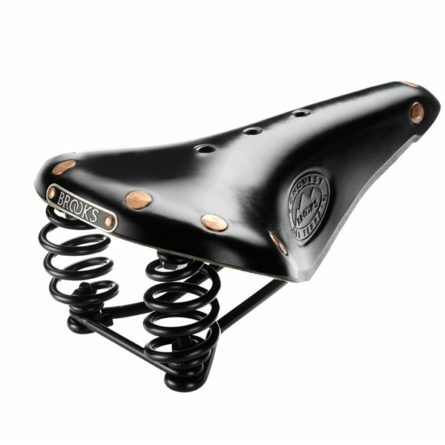 Black leather top; black enamelled steel frame. 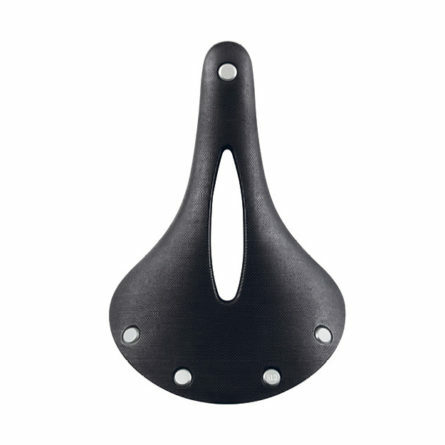 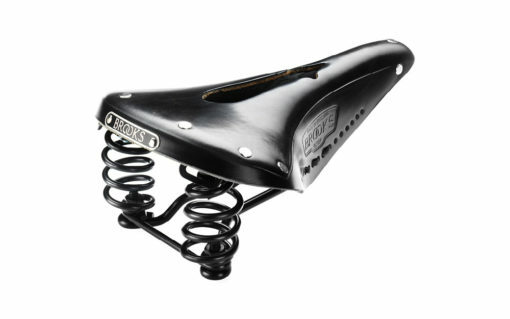 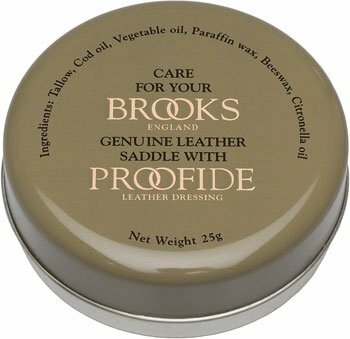 For the proper care of your Brooks saddle, order Brooks Proofide and a Brooks rain cover. 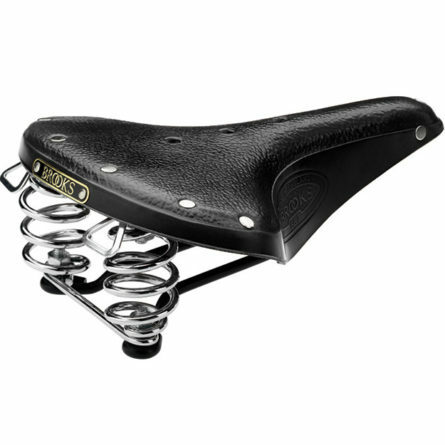 Save on these items when ordered together with the saddle. 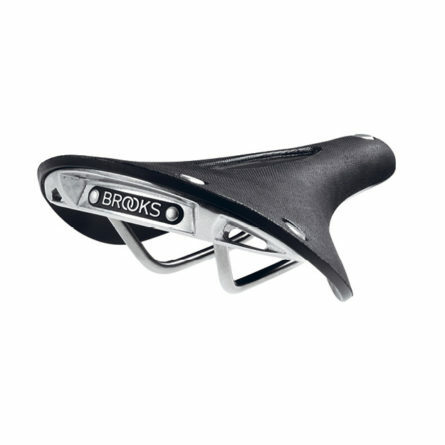 Select from the Extras menu below.